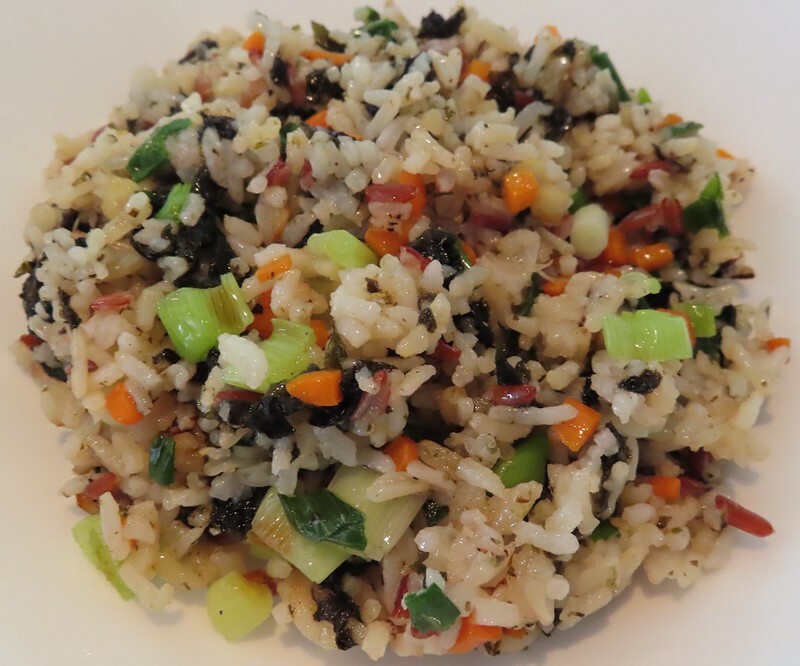 I never know dried seaweed can be used to cook fried rice until last summer My husband and I went to visit my friends in XiaMen. My friends invited us to a special dinner in a private place. 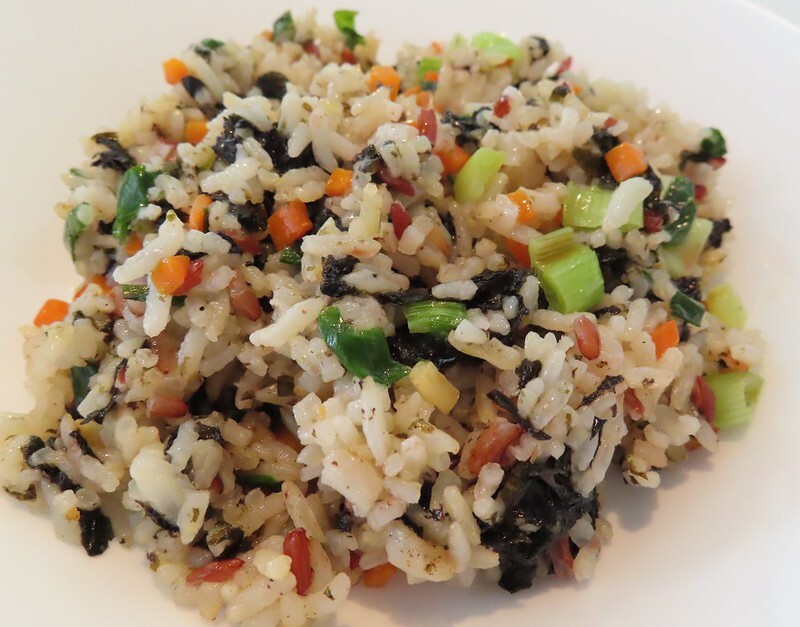 And a special dish was served, which is seaweed fried rice. It’s the first time my husband and I tried that dish. We loved it. Drizzle a little oil into the rice to separate the rice grains. Heat a little oil in the pan. Fry dried seaweed with low heat for 1 min. Then dish them out and leave the oil. Saute garlic till aromatic with the same pan. Add in the carrot dices. stir fry for 2 mins. Add in rice. Toss all ingredients evenly. Add in fried seaweed. Stir fry evenly for another 1 minute. Both my husband and I love it.